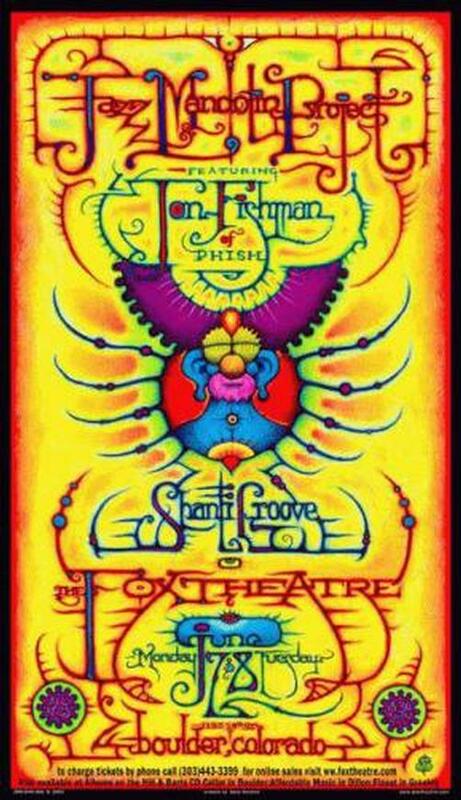 Original concert poster from the Fox Theater, Boulder, CO. June 7-8, 2004. 10x17 card stock. With Jon Fishman of Phish. Art by Dave Huckins.